Although I wasn’t required to earn a university degree as part of my ministerial training, I decided to attend Memorial University before entering Bible College. At MUN, I sat under Father Edward Thomas Bromley. I recall his coal black hair, glasses and clothes, and the bass voice reflective of a deep mind. My intellectual life has never been the same since. I suspect the Monsignor has a keen sense of humour. Because of this, I think he will enjoy this. In the summer of 1976, I registered for Bromley’s Philosophy of Religion course. His office was in the so-called “temporary” buildings, where Queen Elizabeth II Library is now located. A sign on the door identified the professor within: Fr. E.T. Bromley. Of course, we cynical students immediately noted what remained if you removed the full stops. Behind his back, we called him Fret Bromley! 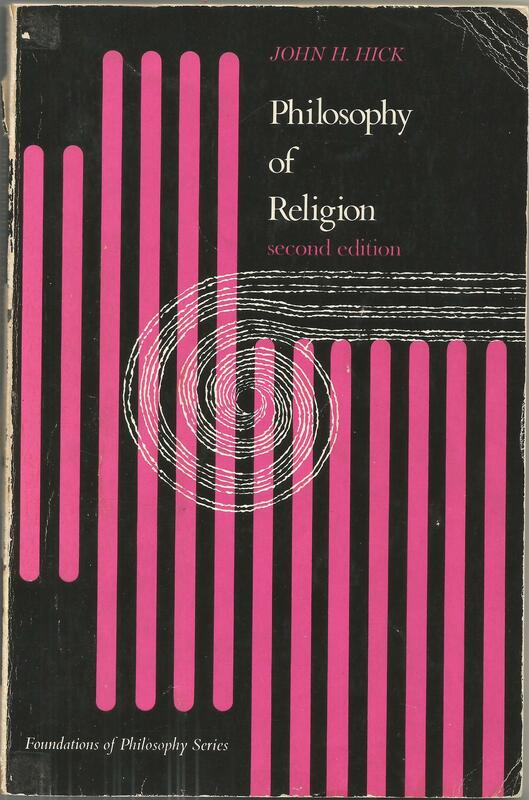 On a more serious note, I will never forget his lectures, based on John H. Hick’s book, Philosophy of Religion. Recently I pulled my battered copy of this book off my shelves to see what the Good Father was actually trying to instill within our captive minds. The text is liberally underscored, indicating I read it, even if I didn’t understand many of the concepts. More than once I scratched my head in consternation as I struggled to follow the author’s line of reasoning, wondering if a light would ever switch on. Bromley began with an introduction to the subject. Chapter 2 is the one which grabbed my attention, and which continues to challenge me even today: what are the grounds for belief in God? Bromley highlighted the most important philosophical arguments offered to justify belief in the reality of God: the ontological argument, first cause and cosmological arguments, design (or teleological) argument, moral argument, and argument from special events and experiences. However, chapter 3 provides cause for pause: grounds for disbelief in God. Having been raised in a pious Pentecostal pastor’s parsonage, I read with caution about the sociological and Freudian theories of religion and the challenge of modern science. For me, the biggest objection to belief in God was–and remains–the problem of evil. Hick addresses the age-old question head-on. Heady stuff for a 19-year-old boy from d’Bay. Later, during my years of parish ministry, I often reflected on the intensity of evil around me. Whether it was the death of a child, the onslaught of cancer on an otherwise healthy body, or an earthquake on some part of the globe, it cannot be denied that evil, in all its various permutations, is part and parcel of what it is to live in an often feckless world. Naturally, Bromley defended the Christian God, while never shying away from the big questions. He allowed for reflection, questions and objections, doing his level best to respond in an academic, yet spiritually sensitive, fashion. I know that much of what I believe today about God is directly attributable to what Bromley taught me in class. I am in his eternal debt. So, as a Pentecostal, I am privileged to honour a Roman Catholic who, more than many other profs, changed the course of my life, stretching my mind, challenging me to academic excellence and to continually seek understanding for faith. For those who are interested, I managed to scrape a “B” in Bromley’s course. Another very interesting read Burton. While I am not a book reader as such, I am enjoying these short stories. I didn’t have Prof Bromiley but the same text book!